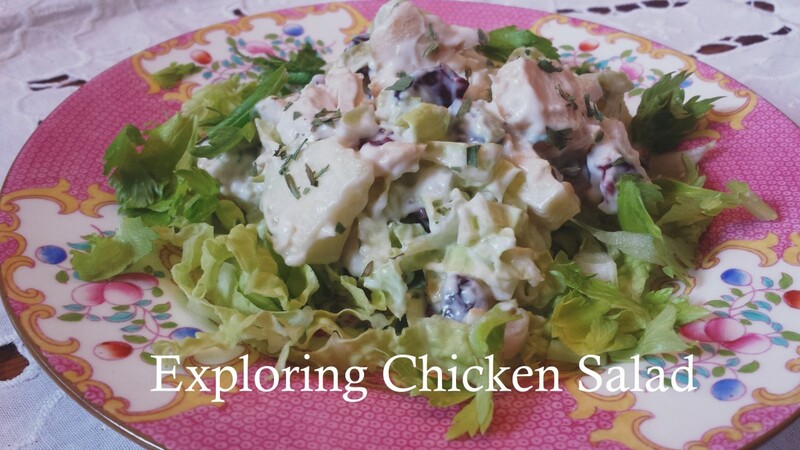 You are sure to love all four of these delicious and traditional German salad recipes. Enjoy! 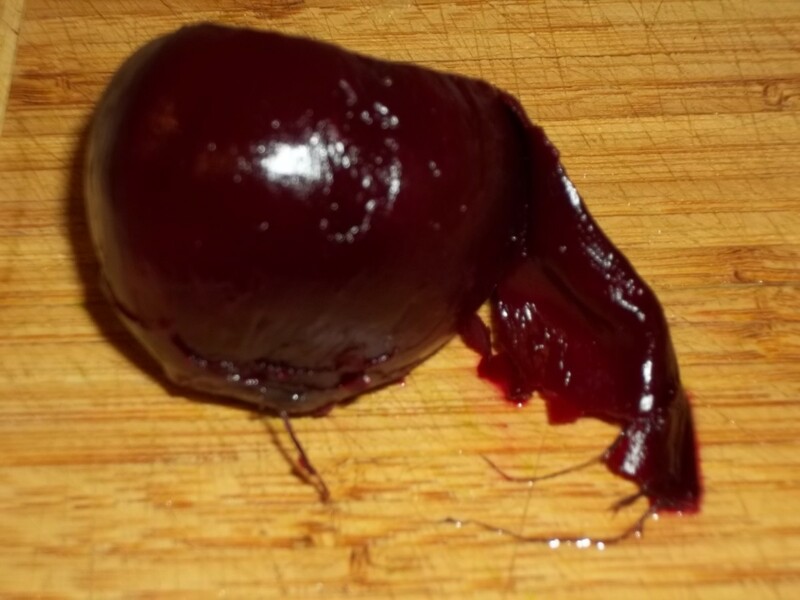 Beets are really easy to peel once boiled. The skin rubs right off. Look out because your hands will get stained during this process unless you wear gloves. 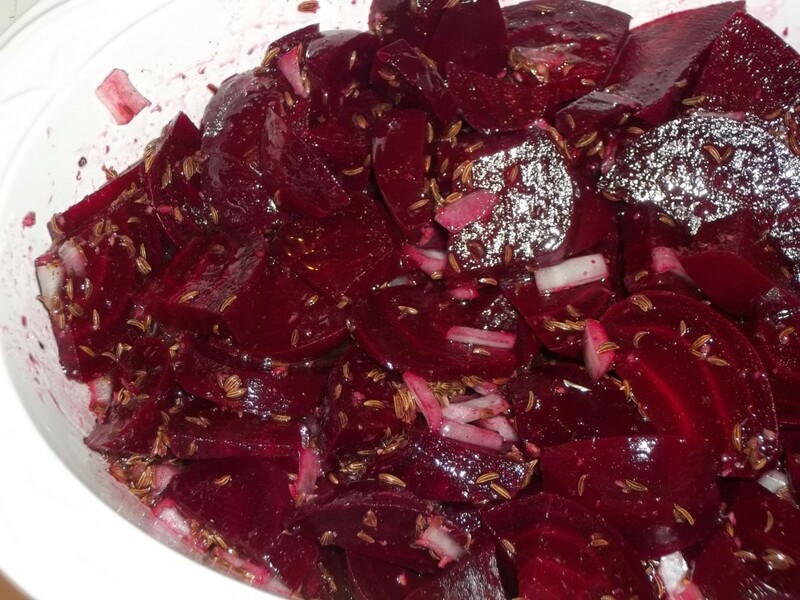 The sauce for this salad really brings out the earthiness of the beets and gives the salad a sweet and sour tang. Prepare the beets by trimming off the greens and the tips. 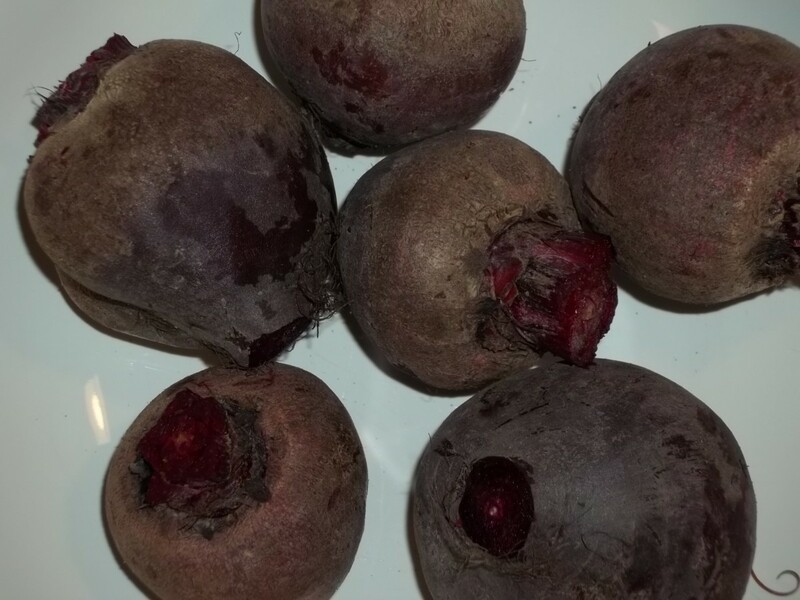 Boil the beets in salted water until tender, approximately 45 minutes. Set aside to cool, then peel and cut into bite sized pieces. In a bowl, whisk together the remaining ingredients. Add the beets and toss to coat. Let stand for a few hours. This salad is best served at room temperature. Refrigerate any remaining salad. This salad is surprisingly refreshing with the tang of lemon. It also makes an interesting addition to any salad plate. 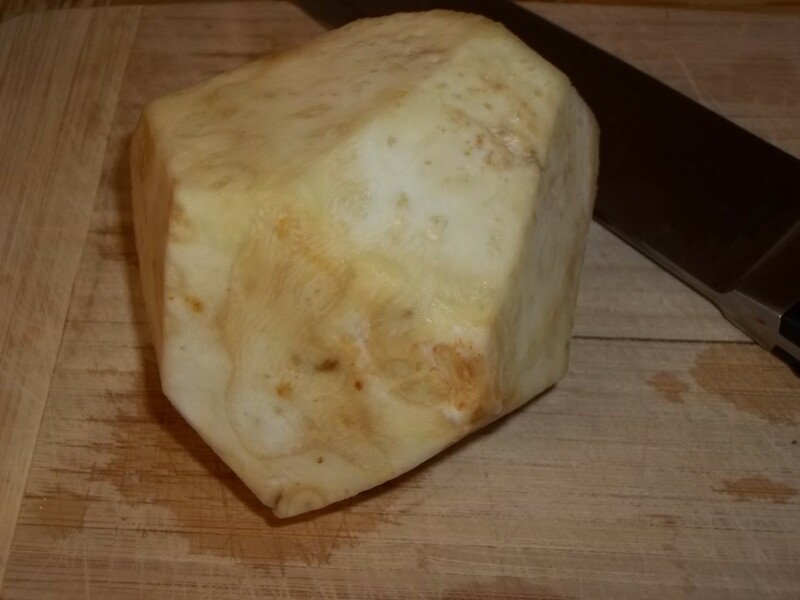 Celery root is tough to work with, so have a good knife on hand when peeling and cutting. 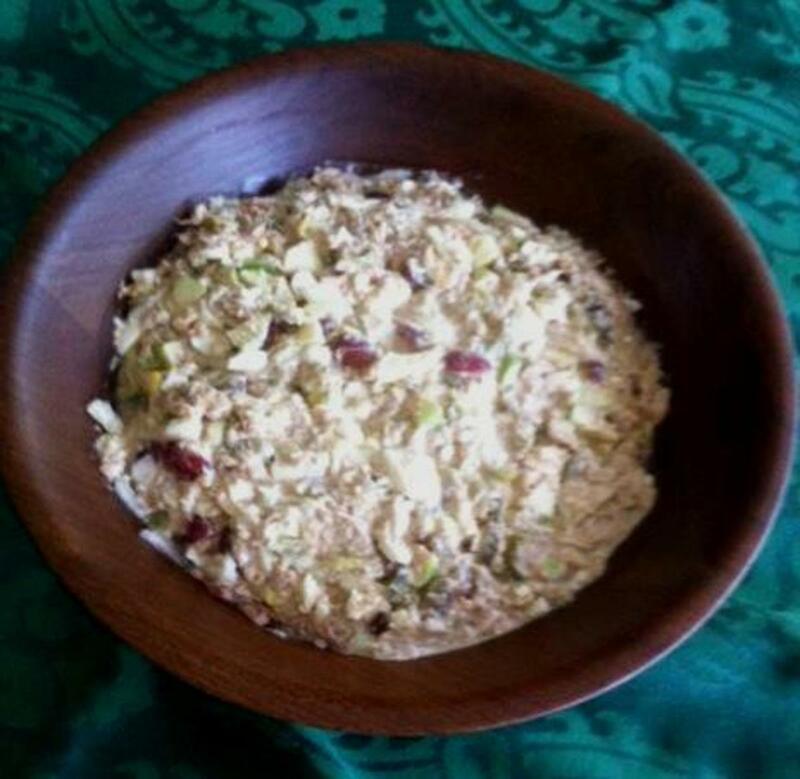 Grate the celery root and apple in a large bowl. 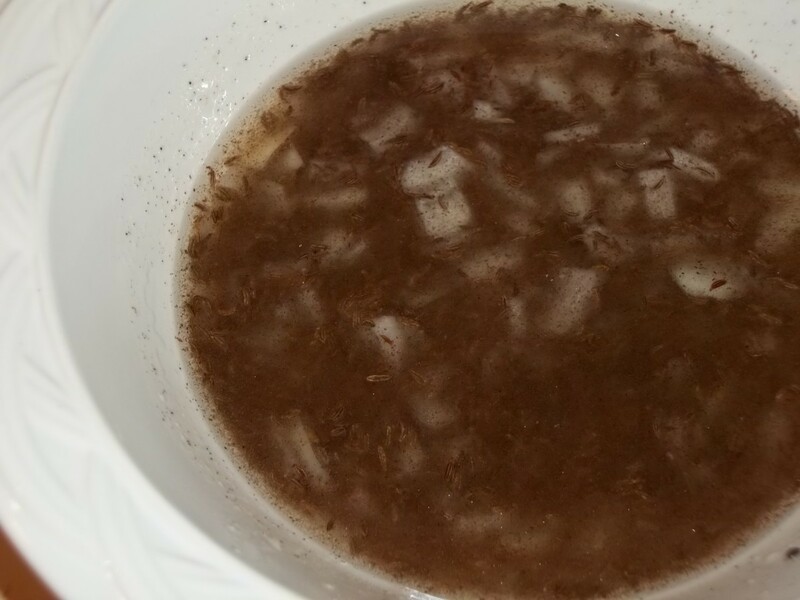 In a separate bowl mix together the remaining ingredients and pour over the prepared celery root and apple. Toss all ingredients until well incorporated. Chill for at least one hour before serving. Refrigerate any remaining salad. The orange juice makes this a sweeter salad that makes a nice contrast to other salads. 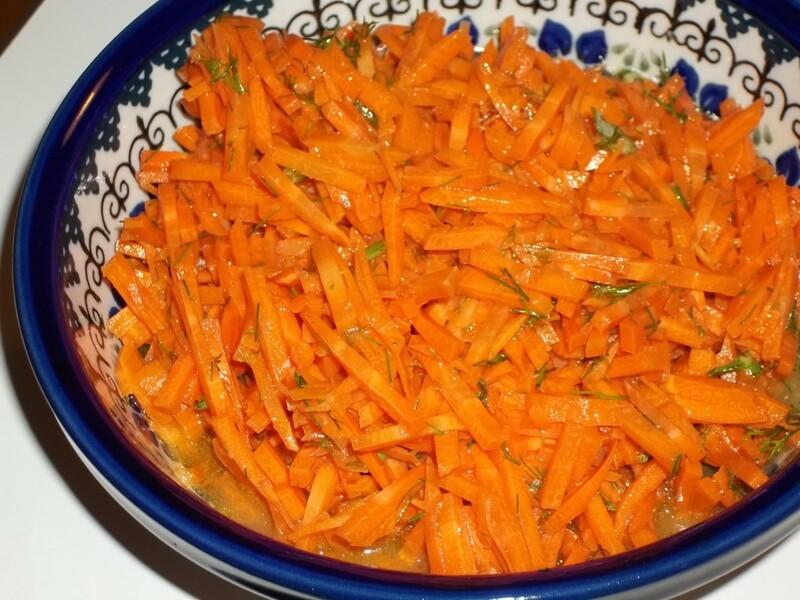 Place the grated carrots and chopped dill in a large bowl. 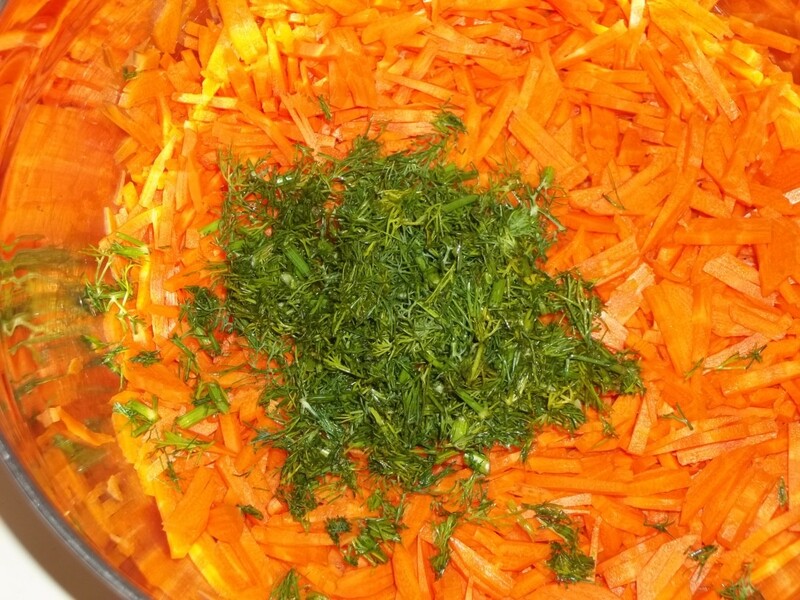 In a separate bowl, mix together the remaining ingredients and pour over the carrot mixture. Toss together and let sit for at least 1/2 an hour. Refrigerate any remaining salad. The longer this salad sits, the better it tastes! 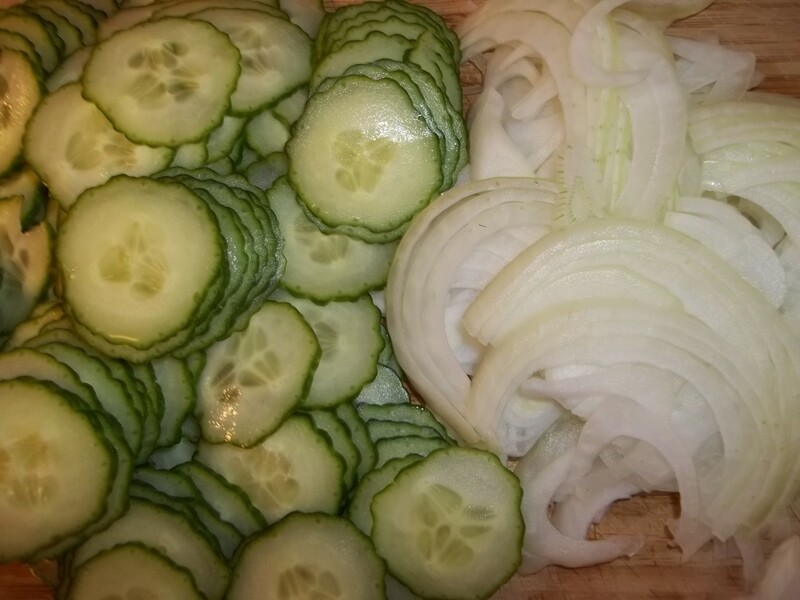 In a large bowl, layer the sliced onions and cucumbers, lightly salting each layer. Set aside for an hour and then drain off all liquid. 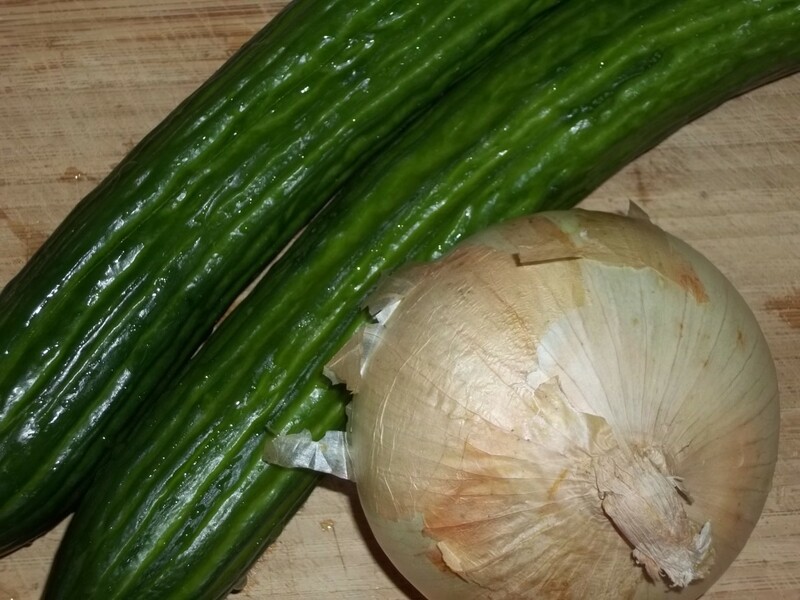 In another bowl, mix together the remaining ingredients and add the drained cucumbers and onions. Chill for at least 15 minutes. Refrigerate any remaining salad. 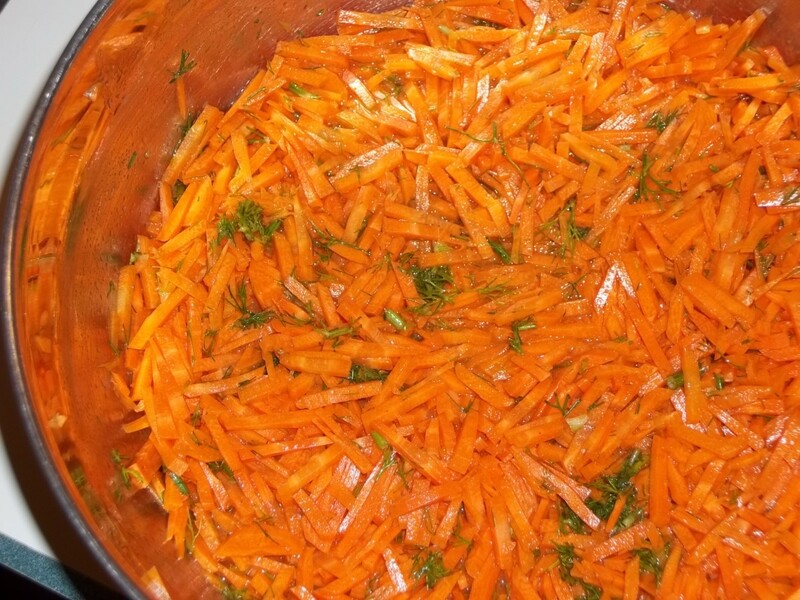 Can you make carrot salad a day ahead? Yes you can make the salad a day ahead, but after that it won't be so good. Glad you enjoyed the recipes. There really is no salad better than one of those big German salad plates with all of the different types of salads. Thank you so much for sharing these recipes! We lived in the Eifel region in the 80s, where these were standard fare with a schnitzel and pinned frittes. We are back for a visit, and have yet to find a restaurant that serves this type of salad. Portions of each were always placed atop butter lettuce with tomato wedges in the center. The BEST!!! Thank you soo much for these recipes. 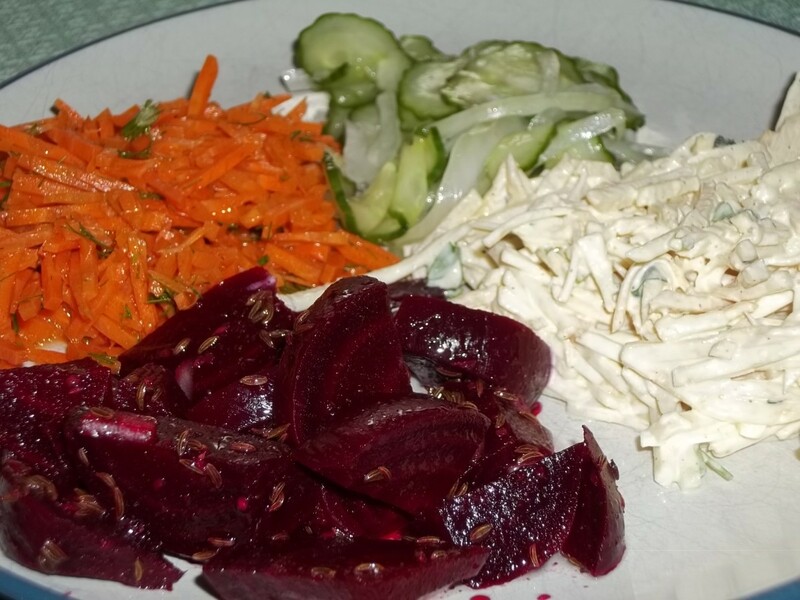 I currently live in Germany and I have noticed the carrot salad, and also a red cabbage salad, along with some red kidney beans and sweet corn at the bottom of my salad bowl. They usually top it with some iceberg lettuce and some other leafy greens. And they top it off with the most delicious zesty yoghurt dressing. 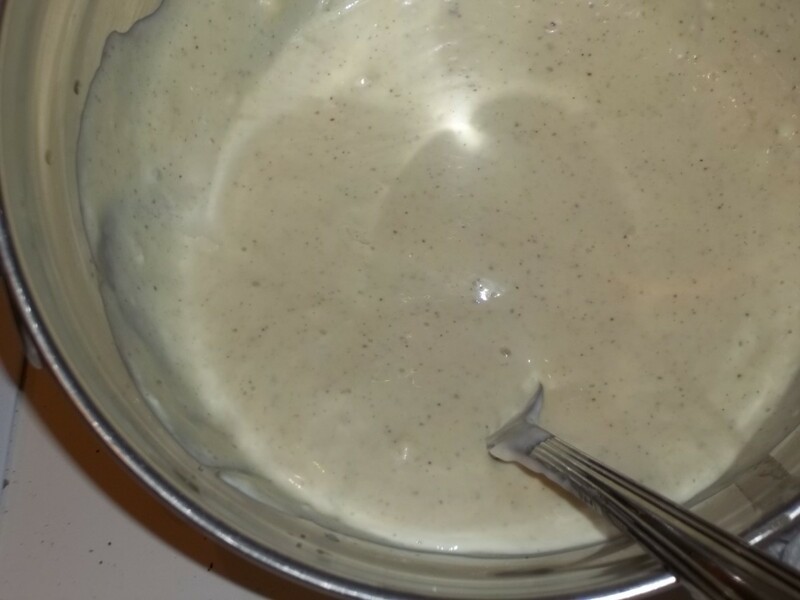 Do you have a recipe for the dressing they normally use on house salads? Thanks ChitangadaSharan! They really are colorful and sometimes that really attracts me too food. Makes such a nice plate. Glad you liked the recipes and thanks for stopping by. So colorful and so tempting! I loved all these nutritious salad recipes. 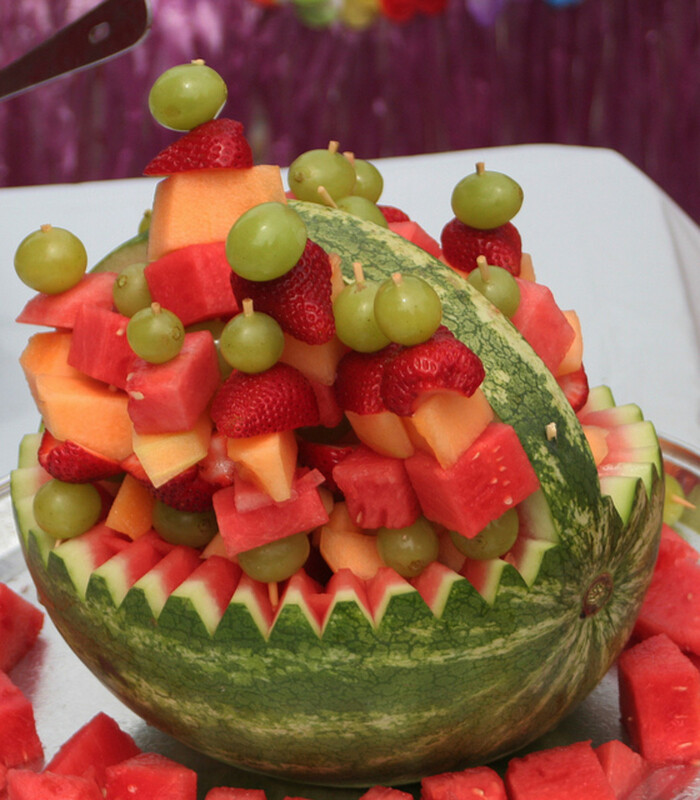 It is always good for health to add color in our diet. What a lovely memory Peggy! I love foods that remind of family or places. Thanks so much for commenting and your support. I'm glad you enjoyed the hub. 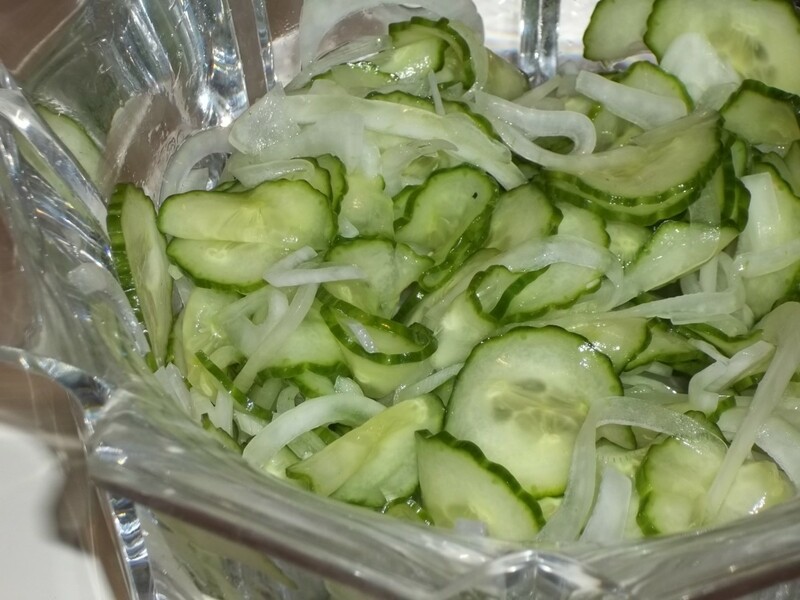 We often had cucumber salad similar to this when growing up and while my mother was still alive. Still have the rock she used to weight the salted cucumbers and onions down while they were drawing juices. The smooth rock would be placed on top of a plate and over the vegetables. She would then rinse the veggies in a colander before adding the dressing which was vinegar, a bit of sugar and some mayo with salt & ground pepper to taste. Yummy! These other salads also sound delicious. Thanks for sharing them with us. Can't wait to give them a try. Up, useful and sharing! Thanks so much wabash annie. I was just thinking the other day that I felt like making a couple of these. They brighten up a cold day. These salads look absolutely delicious and the intriguing ... I've been looking for some that were different. Thanks for sharing these recipes! Thank you so much rajan. I enjoyed writing this one because I got to eat all the salads afterwards! It makes a nice healthy plate for big groups. Very interesting and the salads look very tempting. Bookmarking and voting up, useful and interesting. The pictures are beautiful. I really appreciate the support sgbrown. I love recipes and I'm going to have to check your blog out. Sharyn - Thanks so much for the support! I don't think you'll be disappointed in any of these salads and my guess is that Polish and Ukranian cultures have salads which are quite similar. What a great idea for a hub, I love it. I am 1/4 German but my (and my family's) cooking always leans toward the Polish and Ukranian side. All these salads look healthy and extremely colorful. Pinned and sharing. Thanks so much Au fait! I never thought about them for a holiday buffet. Good idea, especially the beets and cucumbers. That would add a great red and green color. I really appreciate your support. All these salads look really yummy, and I'm a salad lover. Not because they're low in calories, because some salads aren't, but I just love veggies and fruits and these salads you have pictured look so good! I'm going to have to bookmark them so I can make them on my next cooking streak. I think these look fantastic for a holiday buffet too! Colorful, festive, and they sound delicious as well. Perfect! Voted up, useful, and will share with my followers! I appreciate the comments Thelma! I love the beet salad too. I can't get my husband to eat it though. Maybe some time he will give it a shot. Yummy! I love German salads except the celery salad which I don´t like. Rotebeete salad is so healthy and my favorite. Thanks for sharing. Thanks so much pstraubie! I hope you give some of them a try. They are really good. I appreciate your support! Thanks so much Joaniebaby! The cucumber one is especially good if it sits a few hours or even the next day. I appreciate the comments. 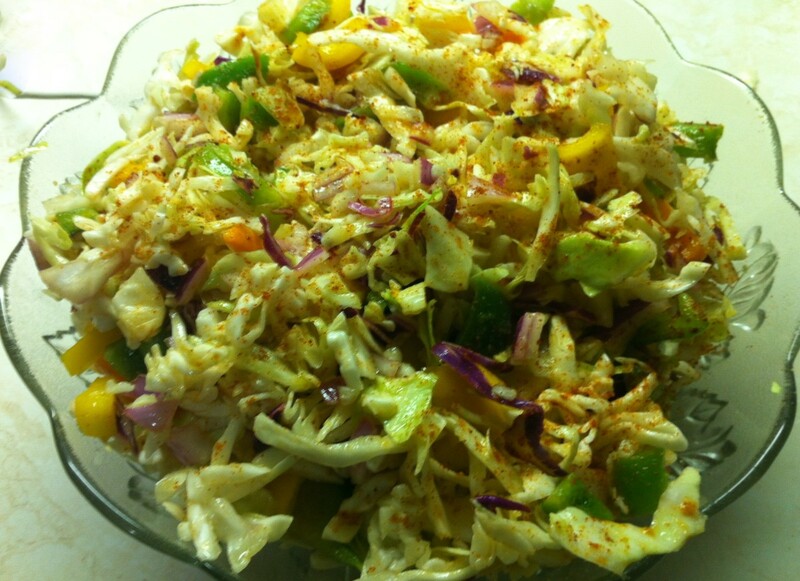 I am always looking for different salad recipes and your Carrot and Cucumber salads look good. 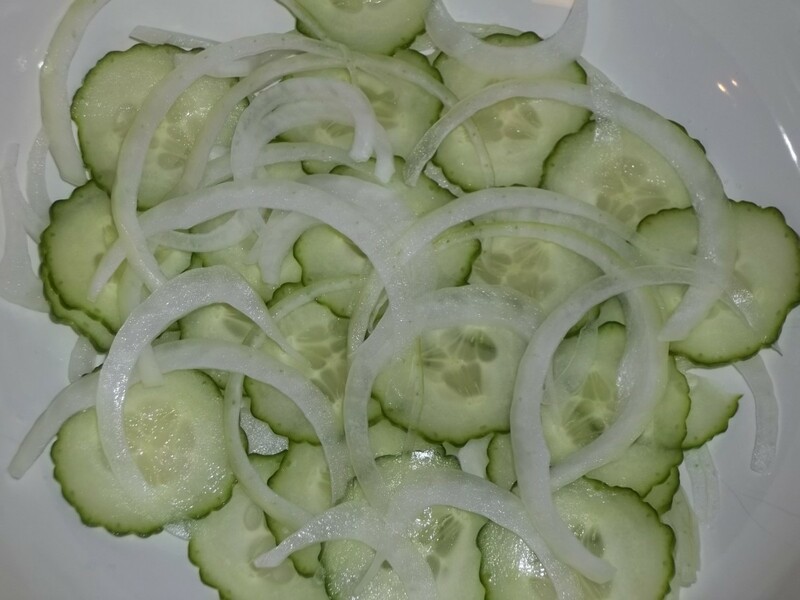 My husband loves any cucumber salad and this one is just slightly different so will have to give it a try. The Carrot salad also sounds interesting. Thanks for posting. Thanks CyberShelley! These are good and take me back to Germany. I hope they do the same for you. I appreciate the support. 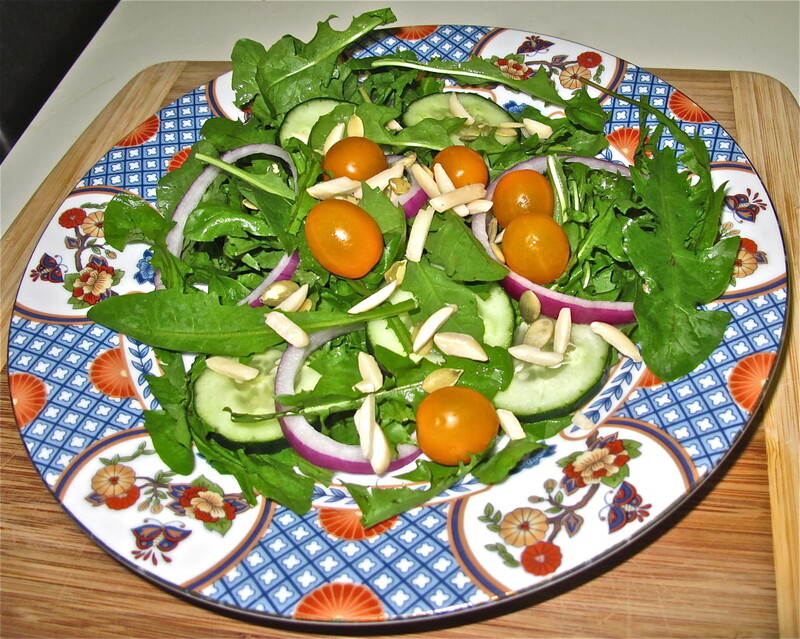 I will enjoy making these salads, I loved the time I spent in Germany and their food. Voted up, interesting and useful! Many thanks ignugent. 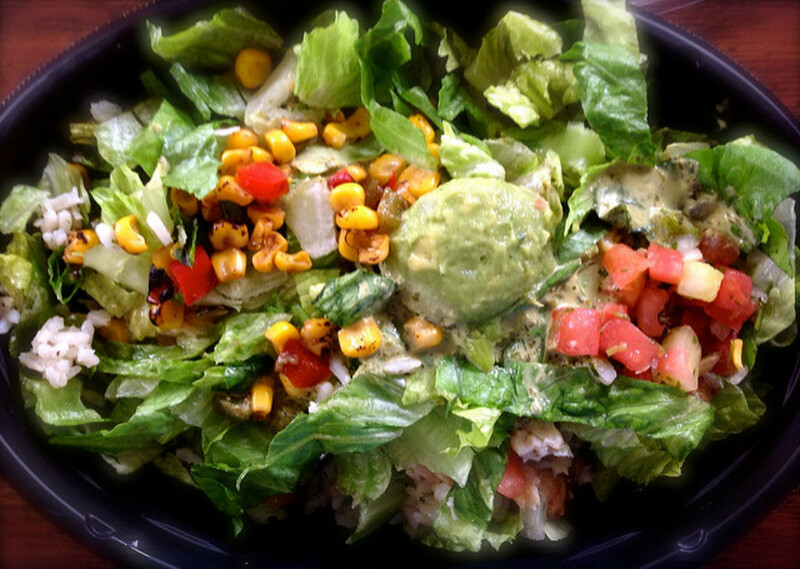 You'll love the salads and they are healthy too. Thanks for sharing these healthy recipes. 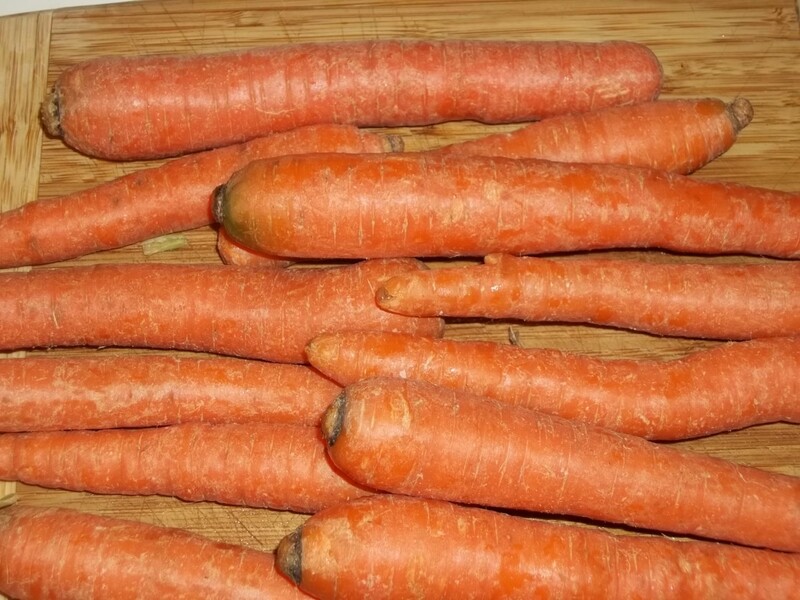 I think I will try the carrots and cucumber. Thanks frogyfish! I always forget to add that rating capsule...I need to add that. 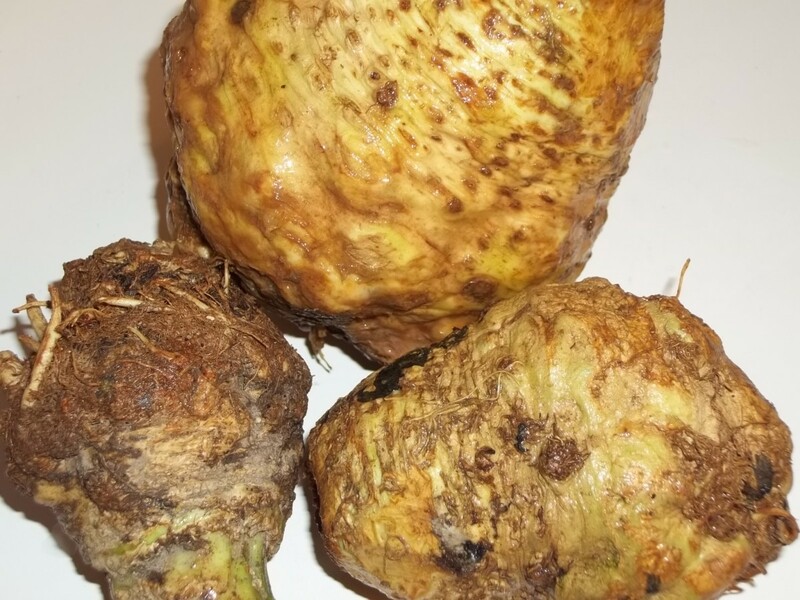 Definitely give the celery root a try. Really good. I appreciate the comments! OK now, I am mostly German, and love all of these except have never tried the celery root. And I will add dill to my carrot salad now. Thanks for delicious and healthy recipes. I looked for those stars to punch, but didn't find them...I'd punch a 5! Right on and thank you! Okay, I am off to the market! Hi Teaches! That cucumber one is a great reminder of summer all year round. I hope you enjoy it. Thanks for the visit! Thanks so much Carol. They are all pretty good and it was fun making all of them for this hub although my husband told that he did not want any more salads for a while! I appreciate the comments. Your recipes excite me! I am going to print them and start chopping. Thanks so much. I have some cucumbers and I am really going to try your salad recipe tomorrow. I love your carrot idea as well. Thanks for sharing. 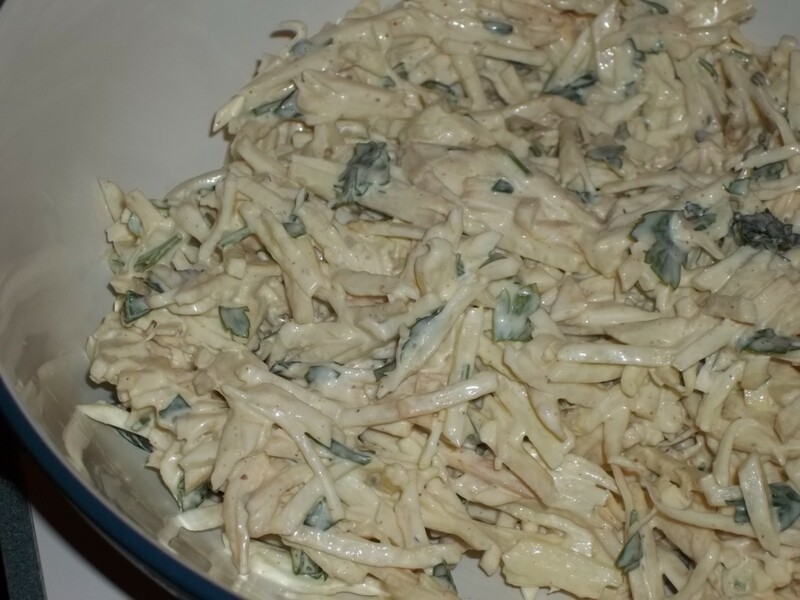 Celery root salad is my all time favorite. All of these salads look delicious. Don't know which one to try first. Thanks for sharing all with wonderful pictures. Thanks so much Jill! Hope you enjoy the recipes. These look wonderful-- and I learned something, too! Pinned and voted up. Thanks! eHealer - I appreciate the comments. The beet salad is really good and earthy. The cloves give it an interesting taste. Thanks! Hi Janine - Thanks so much for your comments and share! Maybe your parents can have a German food dinner! I like to do theme dinners sometimes just to shake up the week! 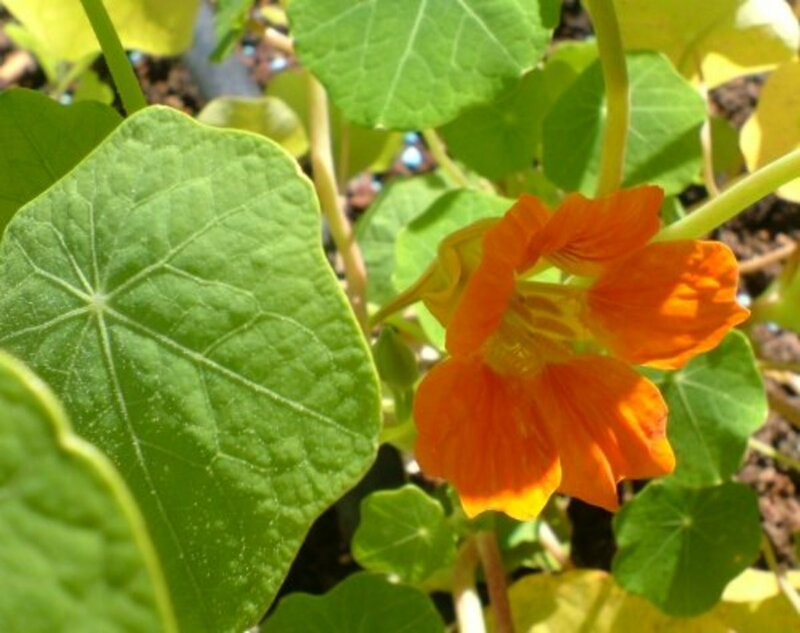 Now is the perfect time to give the cucumber recipe a try Mhatter! Thanks for the visit. Hi Bill- Believe me, they have plenty of meat dishes in Germany. Huge portions sometimes. The salads are just the side/starter. Thanks for the comments! oh that beet salad looks excellent and Yummmm! 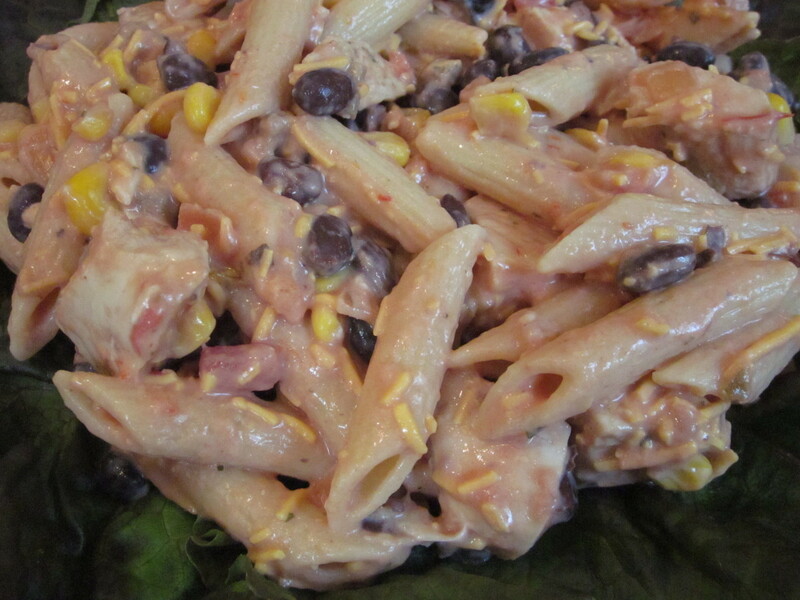 Thanks for the great recipes Glimmer the yummy photos! Oh my dad would love these. He truly loves German food, so I am sharing these with my mom just for him. Thanks and have voted and shared too!! This takes me back. Thanks. My favorite was the cucumber. Don't know why or when I stopped. I'll pass these on to Bev; I have no doubt she will want to make them.